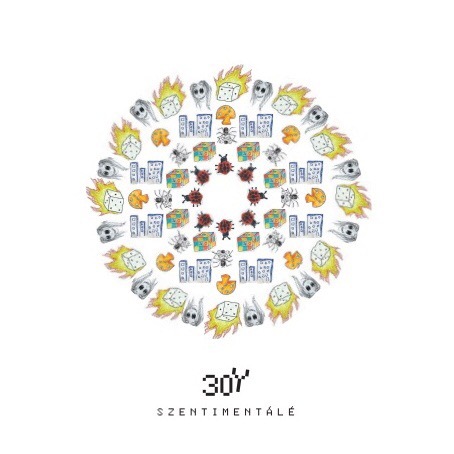 One Random Single a Day #9: “Cipeld helyettem” (2008) by 30Y | Films Like Dreams, Etc. Ah yes, time for some Hungarian indie rock. And yes, this is another subgenre of music I know absolutely nothing about (you’re going to be seeing a lot of that here). I think the closest I’ve ever come to ever reaching this culture of Eastern European rock music is through Gogol Bordello’s song “Start Wearing Purple”. Not really the most promising of introductions, I’m aware. But the band I’ve stumbled across today is 30Y, who are apparently a pretty big deal in the Hungarian alternative rock scene, frequently named one of the most important members of such. In fact, they are still going strong and even released some new material late last year, so that’s cool! Yet this song, “Cipeld helyettem”, comes from somewhat earlier in their career… well, kind of. All sources I come across state that the single was released in 2008, but it wasn’t featured on any album until 2012’s Szentimentálé. Its sound follows some pretty standard indie rock fare, although this one is more piano-oriented at some parts and led by some weird harsichord-sounding instrument at other parts. The vocal delivery is unusual in that it almost feels like he’s rapping his lines throughout the course of the song, although I have no idea if this is just the tradition of Hungarian popular music or if the American rap scene really has that far of a reach. Due to the rather limp quality that these lines are talk-sung, the melody is almost non-existent at times, but when it pops up it’s a nice one. There’s even a nice little horn solo that comes in after the first few verses, which I think adds to the overall pretty pleasant atmosphere. If it seems like I’m avoiding the lyrics, I’ll admit that there’s a reason for this – I’ve run the lyrics through a translator a few times and have even tried to look up interpretations of the song from others, but my efforts have come up fruitless. There are frequent references to the speaker’s childhood, specifically his mother and father, and I could only make my best assumptions from there with the music serving as its own context clue. Did he have a rough time growing up? Are there words unspoken between him and his parents that are addressed in the song? There are references to doors being slammed and his father hiding behind a dirty cloud – is this a song about their divorce? I really haven’t the foggiest. This is definitely the most disappointing review I’ve written on this challenge so far. I wish there was more on this song out there for me to take into consideration when forming an opinion, but the translations of what I could find have been wonky. All that’s really left for me to consider is the general sound of the song – which, to be honest, doesn’t leave that strong of an impression. But considering that there are many Hungarian commenters on YouTube who think pretty highly of this particular song, you should probably just take their word for it instead! This entry was posted in Uncategorized and tagged 2000's, 2008, 30Y, Hungarian, One Random Single a Day. Bookmark the permalink.